Saratoga Springs is a city in Saratoga County, New York. The name reflects the presence of mineral springs in the area. It is famously known for the Saratoga Race Course, which is the oldest continuously-operating sporting venue of any kind in the country. 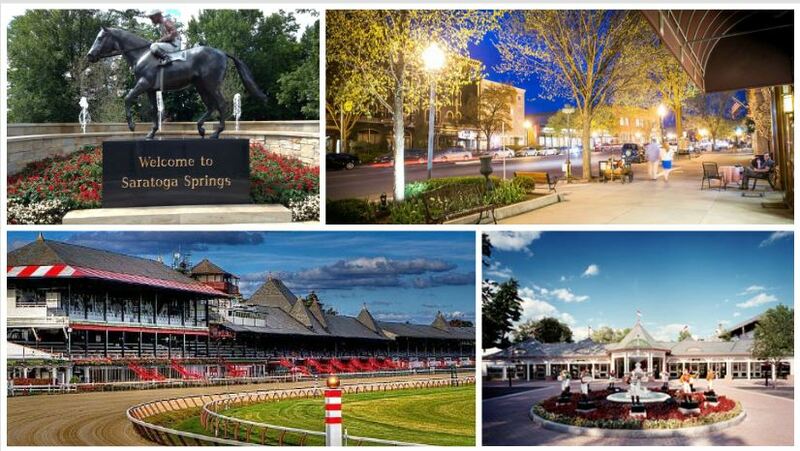 Saratoga Springs has all of the things you want in a big city with a small town atmosphere. Wide, tree-lined streets are full with rows and rows of charming Victorian houses. It’s in an extremely picturesque setting. The thoroughbred track is the oldest continuously-operating sporting event of any kind in the United States. The track holds a summer meet lasting six weeks, from late July to Labor Day, that attracts the top horses, jockeys, and trainers in America. 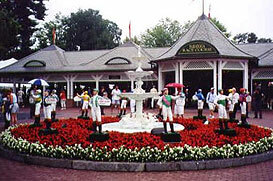 The track’s 6-week summer attracts the biggest names in the sport every year, and is host to the Travers Stakes, America’s most important summer race. Hotels fill to capacity, and many Saratogians rent out their homes. Also located in the city is the Saratoga Gaming and Raceway, a harness racetrack that includes a video gaming facility, the Racino. Broadway, the main street of Saratoga, has marvelous little shops and wonderful restaurants. In the spring and summer Saratoga comes alive with various concerts, the jazz festival, NYC ballet and symphony orchestra! Culturally, no small city can beat it from one of the most eloquent Main Streets featuring an array of festivals, top rated wine restaurants, boutiques, NYC style bistros, jazz bars and museums. The Saratoga Performing Arts Center is located on the grounds of the Saratoga State Park and is the summer home of the Philadelphia Orchestra and New York ballet. It’s a popular summer concert venue. The city is home to the National Museum of Dance and Hall of Fame and the National Museum of Racing and Hall of Fame. Beekman Street, which was once the center of a residential neighborhood, is now an art district, where artists live and work in co-ops. There are several museums in the area, including the National Museum of Dance and Hall of Fame, and the National Museum of Racing and Hall of Fame. There are more than 20 golf courses. Outdoor activities are too numerous to list. With ready access to the Adirondacks to the north, and the myriad lakes in every direction, hiking and paddling activities are endless. Saratoga Springs is the home of Skidmore College, with an enrollment of more than 2,000 students, and the State University of New York’s Empire State College, which offers a variety of independent study alternatives. It is a very lovely and gracious place, with enough cultural opportunities and events in the area to maintain a sense of connection with a larger cultural framework. Saratoga Springs is one of the safest cities to live in. From a family perspective, Saratoga offers top rated schools, thriving youth athletics and strong sense of community. The Saratoga Springs City School District has six elementary schools for grades kindergarten to five, one middle school for grades six to eight, and one high school for grades nine to 12. The district serves students from the city of Saratoga Springs and the Saratoga County towns of Milton, Wilton, Malta, Greenfield and Saratoga.